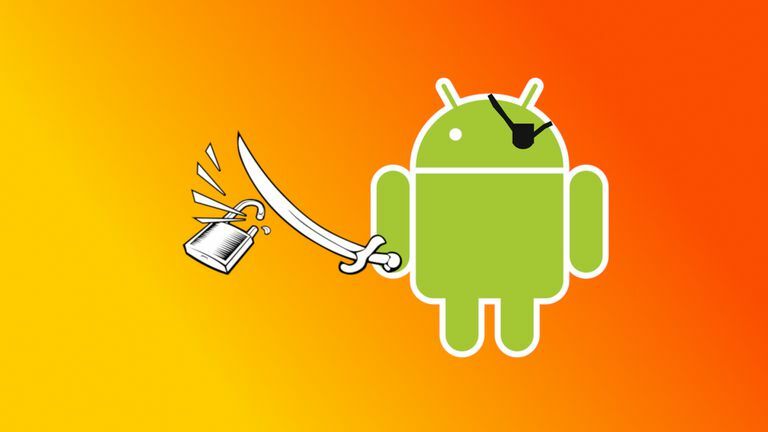 For some Android users, the ability to root their devices is one of the biggest selling points. Doing so provides more control over it, even at the lowest levels, and enables users to do much more with than previously thought possible. To that end, these are the best root apps that take advantage of the power rooting puts in your hands. These apps should work on any rooted Android running Android 6.0 Marshmallow or later, though Android 7.1 Nougat or later is recommended for maximum performance and compatibility. Magisk is an interesting root app because it both roots your phone and works to manage root privileges of your other apps. Magisk is one of the easiest and most universal ways to root your phone, and it's exploded in popularity as a result. Once you've rooted your phone, you can use Magisk to hide your root privileges from apps that require your device not be rooted, like banking apps. Magisk doesn't require you root and unroot your phone, and instead, you can choose which apps you allow root access to, and which apps you want to keep in the dark. Covers nearly every event type. Focused on doing one thing well. A bit confusing to start. Tasker really does help you take control of your phone. It's an automation app that lets you script out just about everything on your phone, including apps, calendars, notifications, and multimedia, among other things. Tasker isn't free, but it's well worth the price of admission. It's surprising just how useful it is to be able to schedule everything on your phone. For example, you can change the brightness settings at night or disconnect from Wi-Fi when you're sleeping to save battery. Titanium Backup has long been a favorite among people with rooted phones, and for good reason. Titanium Backup is easily the best backup app for Android. This app goes a step further than most backup apps by using root privileges to access both apps and system data for the backups it makes, meaning you can return your device to a previous state, even if system data is corrupted, making it ideal for fans of custom ROMs. Solid Explorer is a super beefed up file explorer with way more features than your standard non-root options. Most obviously, Solid Explorer is a root file explorer capable of navigating all the way back down to the system root. Solid Explorer also has options for networked files, both from your local network and the cloud. Additionally, it has the ability to open and create archives, like ZIP and RAR. Might confuse those new to the app. Flashify is an all-in-one app that lets you manage custom ROMs, recovery images, backups, and other zip files from an app, rather than rebooting your phone. Flashify makes managing the low level aspects of your phone simple. You can streamline the process of installing the latest builds of your favorite ROMs and keeping your recovery updated. Making backups is also greatly simplified, allowing you to roll back with minimal hassle, should something go wrong. You run the risk of removing crucial software. One of the major benefits to rooting your phone is the ability to remove that pre-installed apps once and for all, and System App Remover is the tool that helps you do just that. System App Remover lists your apps by category, enabling you to browse the apps you've installed yourself in addition to the apps pre-installed on your phone. Be careful. Unless you're removing something that's obviously junk, you run the risk of breaking something on your phone. Dramatic improvement in battery life. Might take some getting used to. Greenify promises to make your Android device much, much more efficient in just about every way, from extending battery life to freeing up system resources. You install Greenify on your device, then run through the setup process, answering a few questions about your device and how aggressive you want it to be in managing your energy use. When you're done, Greenify gets to work keeping your apps in check and saving your battery. Doesn't save stuff you already deleted. Dumpster brings the recycling bin to Android, giving you a safety net for when you accidentally delete something you didn't mean to. Dumpster works automatically, backing up everything you delete as soon as you delete it. Dumpster also works on apps. If you uninstall one, it automatically makes a backup copy, so you can reinstall it directly from your own phone, instead of downloading it again from the Play Store. Dumpster also offers cloud storage, to make even more resilient backups of your files. Doesn't actually solve battery problems. Wakelock Detector lets you see which apps are keeping your phone awake, even when it's supposed to be on standby. It provides a simple list, showing the worst offenders at the top. You can then choose what to do with your apps and which ones to remove. Quick Reboot simulates a reboot without actually powering off your phone or restarting it. There really isn't much else to it. If your phone is seemingly starting to slow down, you can use Quick Reboot to restart your system processes and speed things up. Like the name suggests, it'll restart quickly. Perfect options for managing root devices. SuperSU is one of the longest running apps for managing root privileges, and it's even shipped with some ROMs as a result. SuperSU lets you grant and deny root access on a per-app basis, allowing for more control and a slightly better degree of security. SuperSU logs root access and activities as well, allowing you to see if anything fishy is going on behind the scenes. SuperSU also lets you temporarily revoke root permissions to hide from root detection. Extreme control of your device. 3C Toolbox focuses more on performance improvement than customization. To start, 3C Toolbox includes a root file explorer granting access to everything on your device, including the /data directory. On top of that, 3C Toolbox includes utilities to better control your device's battery, network settings, CPU performance, and storage. There's also a task manager and monitoring and logging capabilities to get a clear picture of how your device is performing and where weak points and bottlenecks may be. ES File Explorer is another file explorer with root capabilities, but it's also so much more than that, as it can open text, images, and even multimedia. It also includes archive manager capabilities. Beyond opening and managing files, ES File Explorer includes a lot of options to share your files with others, too, whether it's with other people using ES File Explorer or sharing with Google Drive and Dropbox. Additionally, ES File Explorer can also analyze your storage for you and alert you to duplicate files, and it does it all with a great looking, responsive interface. Termux brings out the Linux in Android by including a package manager and loads of useful Linux utilities. It has all of the basic command line tools you'd expect, making it a familiar experience for those used to navigating Linux systems. With the addition of a package manager, you can install ssh, su, top, tar, ffmpeg, vim, and just about any Linux command line tool you can think of. Termux even adds support for popular programming languages like PHP, Ruby, and Python, to the extent that you can run full Python scrips and applications on your Android. That said, if you're really interested in doing something different, you can run NodeJS with Termux. That's how robust the support for Linux goes with Termux.